Siblings Nafees Iqbal Nickname ????? 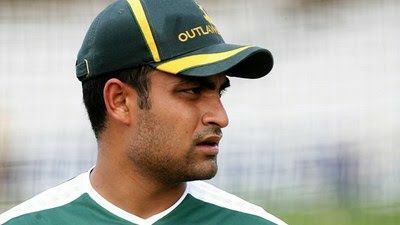 Tamim Iqbal Khan , (born 20 March 1989) is a Bangladeshi cricketer. Tamim made his One Day International debut in 2007 and played his first Test the following year. He is left-handed opening batsman. Between December 2010 and September 2011 he was vice-captain of the national side. In 2011 he was named as one of four Cricketers of the Year, and Test Player of the Year, becoming just the second Bangladesh player to be awarded the accolade. He plays first-class cricket for Chittagong Division cricket team. Tamim Iqbal is the brother of Nafees Iqbal and the nephew of Akram Khan, who both played Test cricket for Bangladesh. He is currently the highest run scorer for Bangladesh in T20 international. He was named an international elite player for the inaugural Caribbean Premier League in 2013. Tamim Iqbal was born to late Iqbal Khan and Nusrat Iqbal, in the port city of Chittagong. His paternal Khan family is a prestigious family of the city. Tamims father Iqbal, used to host small cricket tournaments, to help his sons train and get better in cricket. His brother Nafees, a former national team cricketer, in an interview said, "Tamim was the more talented one. When he [Tamim] was 12 or 13, he hit 148 as the team chased 150". Tamim, who played in the 2006 U-19 Cricket World Cup in Sri Lanka, was picked for the 2007 World Cup and played against India in the group stage of the competition, scoring 51 runs from 53 deliveries, helping his team win the match. In December that year, the Bangladesh Cricket Board (BCB) granted Tamim a one-year grade C contract, one of 22 central contracts with the Board at the time. Although he was still in the lowest tier of central contracts, it was an extension form his previous contract, which lasted six months. On Bangladeshs tour of the West Indies in July and August 2009, Tamim scored his maiden Test century against a West Indies team weakened by disputes between players and administrators, which resulted in seven players making their Test debut in the match, His effort with the bat helped Bangladesh to a historic victory – their first against the West Indies in Tests, their first overseas Test victory and only their second Test win. He ended up with 128, and was named as the Man of the Match for his performance (he also scored 33 in the first innings). Speaking of his innings, Tamim said "It was a flat wicket, and if you concentrate hard and look to bat straight, its a good track to score on. Im just 20 and have played only 11 Tests, I think there are a lot more [innings like these] to come". Bangladesh went on to win the second Test, and in the process secured their first overseas series win. Iqbal was Bangladeshs leading run-scorer in the series with 197 runs. 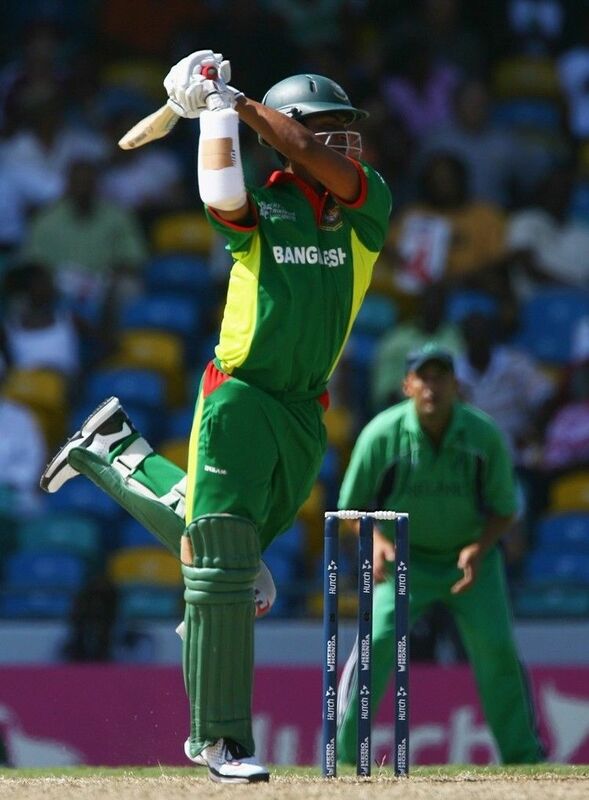 In December 2010, Tamim replaced Mushfiqur Rahim as Bangladeshs vice-captain. In the opening match of the 2011 World Cup he scored 70 against India in a losing cause. In the following match against Ireland he scored 44 off 43 balls, and took a catch. In the next game against the West Indies, Tamim was caught at the slips for a third-ball duck as Bangladesh folded for its lowest ODI score, 58 all out. The following game against England he scored a quick fire 38 to get his side off to another good start, Bangladesh eventually winning by two wickets. West Indies toured in October, facing Bangladesh in a T20I, three ODIs and two Tests. Though Bangladesh lost the Test series 1–0, Tamim was his teams leading run-scorer with 186 from four innings, including two half-centuries. The BCB founded the six-team Bangladesh Premier League in 2012, a twenty20 tournament to be held in February that year. The BCB made Tamim the icon player for Chittagong Kings. However, his appearances were limited due to a groin injury and he played just two matches and scored eight runs.